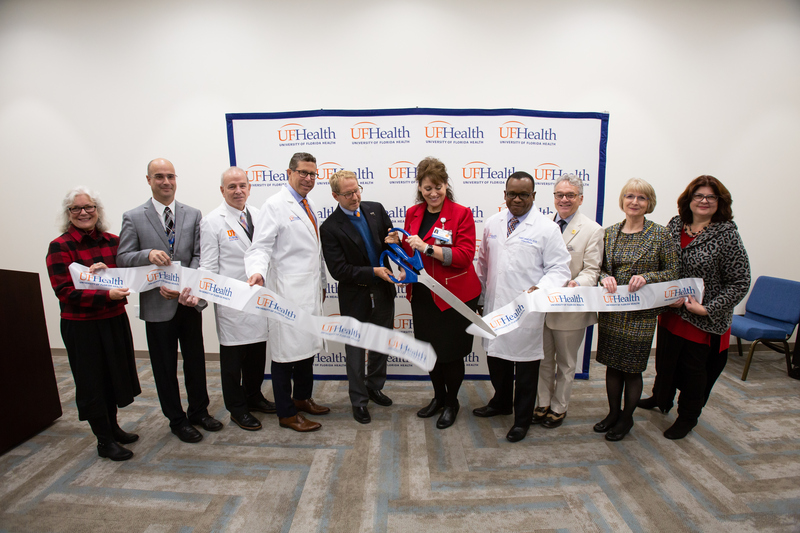 UF Health leaders cut the ribbon today on the new facility, which is adjacent to the Florida Recovery Center’s main campus on Southwest 13th Street in Gainesville. The first floor of the new building provides spacious meeting rooms and a large auditorium to host guest speakers and hold group activities. The second floor houses offices for the UF department of psychiatry and UF Health’s newest outpatient practice for addiction medicine. An estimated 88,000 people die from alcohol-related causes annually in the U.S., and according to a new report from the National Safety Council, for the first time on record Americans are more likely to die of an accidental opioid overdose than in a motor vehicle crash. The FRC is also well-known for its Impaired Professionals Program, helping recovering professionals — primarily physicians and health professionals — from across the U.S. overcome addiction. Led by Teitelbaum, who holds the Pottash Professorship in Psychiatry and Neuroscience, UF boasts one of the nation’s top addiction medicine fellowship programs, which is accredited by the Accreditation Council for Graduate Medical Education. 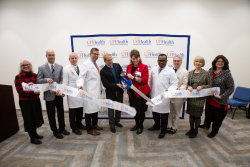 Roxane Harcourt, executive director of the FRC and administrator for UF Health Shands Psychiatric Hospital, sees the FRC’s expansion as another step in the right direction as our society continues to acknowledge that substance use disorders aren’t a choice, but rather, a brain disease. Visit floridarecoverycenter.UFHealth.org to learn more about the FRC.